With South Florida continuing to be impacted by toxic algae, Gov. Rick Scott has called on the federal government to offer a disaster declaration to help small businesses hurt by it. On Monday night, Scott requested the U.S. Small Business Administration (SBA) to issue an Economic Injury Disaster Declaration to, according to the governor’s office, “help Florida businesses who are being impacted by algal blooms caused by federal water releases from Lake Okeechobee” for Lee and Martin counties. “The declaration will provide small businesses with low-interest loans so they can recover from the harm caused by these blooms,” Scott’s office noted on Monday night. “The governor requested this declaration for Lee and Martin counties. Once the SBA has approved these counties, the state will quickly work to include other areas that have been impacted. “Information is being collected to submit to the SBA so similar relief can be provided to businesses affected by naturally-occurring red tide,” Scott’s office added. Scott has been active on the issue in recent weeks including issuing an emergency order on the toxic algae last month. 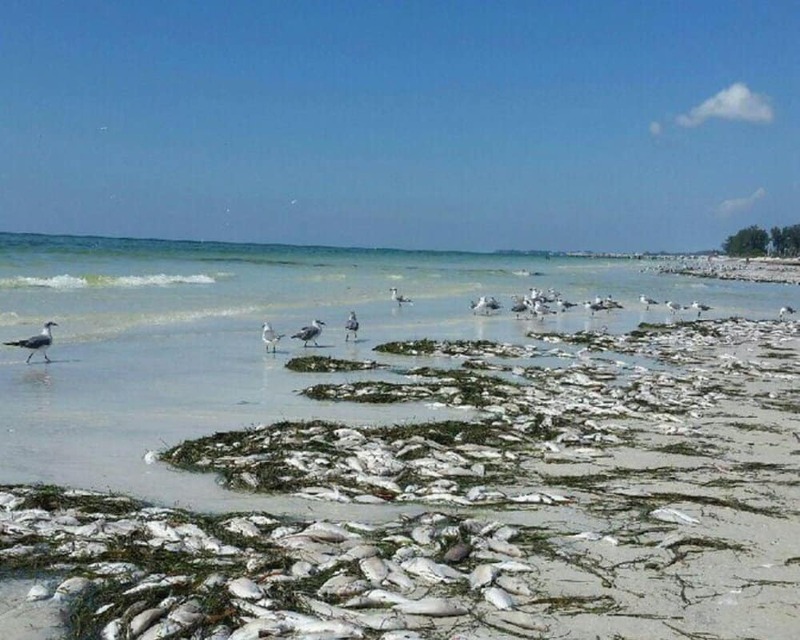 Last week, the governor issued an emergency order on red tide which is also impacting the Sunshine State. “The Office of Disaster Assistance’s mission is to provide low interest disaster loans to businesses of all sizes, private non-profit organizations, homeowners, and renters to repair or replace real estate, personal property, machinery & equipment, inventory and business assets that have been damaged or destroyed in a declared disaster,” the SBA notes on its website.